Sneak Peak of New Poster! 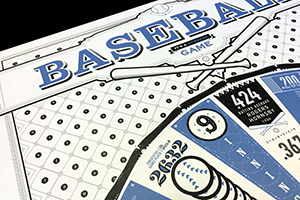 Just in time to coincide with the playoffs, my poster about baseball is almost finished. It’s been 3 or 4 years since I unveiled the Typographic Matchmaking poster. It took some time to decide what to design next and then even longer to find time to design it (it turns out chairing a department at a university is quite time-intensive). I decided it might be interesting to create a poster that focused on figures (numbers) instead of letterforms. 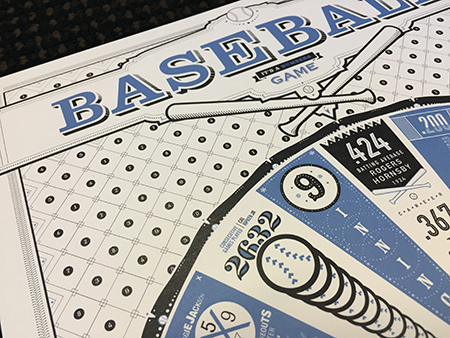 After some brainstorming it dawned on me “What could be more numbers intensive than statistics from baseball?” It’s a theme ripe with visual possibilities, too. The poster will also be interactive (in an old-school sort of way)! Check back in a week or two, when you can pre-order the poster. Or post a message below and I’ll shoot you an email when we’re ready to go.